Learn some information that you may not know on colonial Pennsylvania and modern day PA with some Pennsylvania facts on the history of our state. 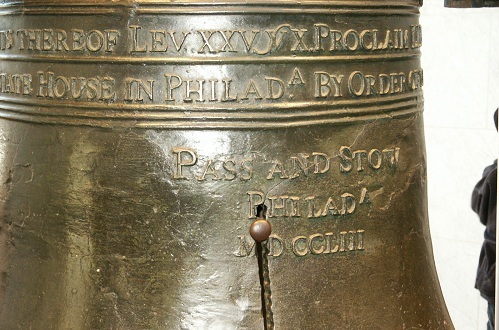 Pennsylvania was acquired by the Dutch, Swedes, and England at various times throughout its history. In the late 1600's the state became William Penn's. On December 12, 1787, PA became the 2nd US state. Pennsylvania's name comes from William Penn, a Quaker who was our states founding father. PA's population is about 12,604,767 making it the sixth most populous state. PA encompasses almost 49,000 square miles. Pennsylvania has 67 counties: Philadelphia County PA is the largest populated county, and Lycoming County PA is our largest county in area. Philadelphia is the largest city. The other 9 most populated cities are: Pittsburgh, Allentown, Erie, Reading, Scranton, Bethlehem, Lancaster, Harrisburg and Altoona. The center of the state is Centre County PA - State College PA is a city in that county. Indiana County PA is known as the Christmas Tree Capital of the World. 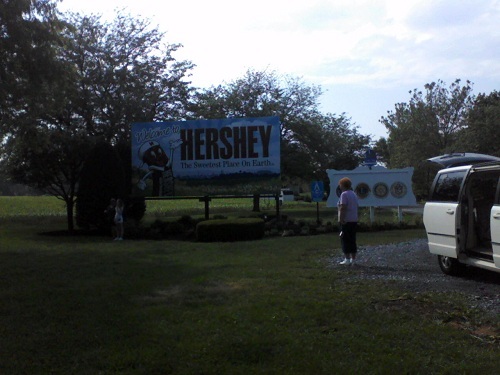 Jimmy Stewart was born in Indiana PA.
Hershey PA is known as the Chocolate Capital of the US. Kennett Square PA, in southern Chester County PA, is called the Mushroom Capital of the World as it produces almost half of our nations' mushrooms. Major Pennsylvania rivers are the Allegheny, Delaware, Ohio and Susquehanna. Lake Erie is our major lake located in northwestern PA.
Mt Davis in Somerset County PA is the highest point at 3,213 feet. The Delaware River is the state's lowest point. Pennsylvania Capital is Harrisburg PA.
Pennsylvania borders Delaware, Maryland, New York, New Jersey, Ohio and West Virginia. The state abbreviation is PA.
Pennsylvania nickname is the Keystone State. The Pennsylvania state flag has a medium to dark blue background with two horses on each side of a ship enclosed in a shield. A bald eagle sits atop the center image of the ship. Centered at the bottom is our Pennsylvania state motto "Virtue, Liberty and Independence" in a reddish orange color. Our flag was adopted in 1907. State colors are blue and gold. Pennsylvania state bird is the ruffed grouse. The state mammal is the white tailed deer. PA state fish is the brook trout. Pennsylvania state insect is the firefly. Pennsylvania state dog is the great dane. Pennsylvania state flower is the mountain laurel. Pennsylvania state tree is the Eastern hemlock. Our state song is "Pennsylvania" with lyrics, Eddie Khoury and music, Ronnie Bonner. Pennsylvania sales tax rate is 6%. Lincoln gave his Gettysburg Address in Pennsylvania. Pennsylvania has about 197 covered bridges, the most in any US State. Our primary agricultural products are dairy, poultry, cattle, greenhouse products, mushrooms, soybeans, hay and apples. Pennsylvania's main industries are farming, mining, steel, food manufacturing, machinery, chemicals, pharmaceuticals, and electronic equipment. President James Buchanan was born in colonial Pennsylvania. We hope you find the colonial Pennsylvania and Pennsylvania history facts enjoyable.